El sello Rhino Records, ha anunciado que FOREIGNER, una de las más populares y duraderas bandas de rock, lanzará una colección de tres discos, llamada “Can´t Show Down”, incluyendo un CD con canciones nuevas, otro CD con todos los éxitos originales y un DVD con un concierto de la banda y mucho más. El lanzamiento estará disponible el próximo 29 de septiembre. El DVD contiene imágenes de la banda tocando muchos de sus éxitos en directo en sonido surround 5.1. El DVD también contiene actuaciones grabadas durante la reciente gira de la banda por Europa. Además de eso, hay una mirada por detrás de las cámaras sobre la creación de “Can´t Show Down”, de las sesiones de composición en Nueva York, Nashville y Los Ángeles, y muchas más cosas al respecto de esta obra. 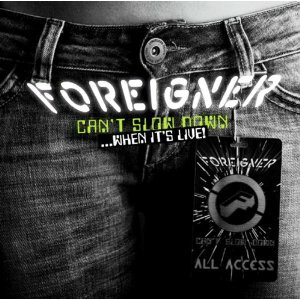 Los clásicos FOREIGNER editan hoy 15 de noviembre a través de earMUSIC el doble directo "Can't Slow Down - When It's Live". Kelly Hansen a las voces y Jason Sutter a la batería. FOREIGNER realizarán una gira conjunta por Europa el próximo mes de junio junto a JOURNEY y STYX. The best of FOREIGNER - "Foreigner Classics"
Foreigner "celebra" sus cuarenta años de carrera con un disco doble títulado "40" que será lanzado el 19 de mayo a través de Rhino. El nuevo recopilatorio incluye 40 canciones grabadas entre 1977 y 2017. 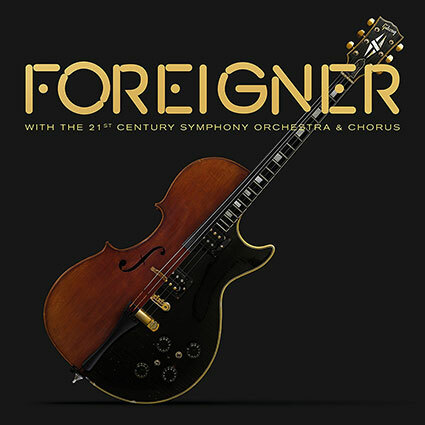 FOREIGNER: nuevo disco "Foreigner With The 21st Century Symphony Orchestra & Chorus"
"Foreigner With The 21st Century Symphony Orchestra & Chorus" saldrá a la venta el 27 de abril a través de earMUSIC." Se trata de la grabación de los dos conciertos que la banda dio en mayo de 2017 en Lucerna, Suiza, junto con la Orquesta Sinfónica y Coro "21st Century", dirigidos por Ernst van Tiel. 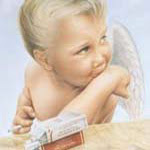 I Want To Know What Love Is, Cold As Ice, Waiting For A Girl Like You, Hot Blooded, Juke Box Hero. FOREIGNER‘s timeless anthems continue to rock the charts with ten multi-platinum albums, sixteen Top 30 hits and album sales now exceeding 75 million copies. For the first time ever, FOREIGNER will present all their hits with a 58 -piece orchestra and a 60-piece choir with FOREIGNER with the 21st Century Symphony Orchestra & Chorus available on April 27th, 2018 via earMUSIC. In May 2017, the band performed two sold-out shows in Lucerne, Switzerland, together with the 21st Century Symphony Orchestra & Chorus, conducted by Ernst van Tiel. 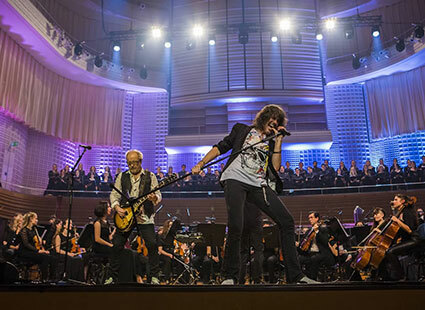 FOREIGNER with the 21st Century Symphony Orchestra & Chorus represents this year-long collaboration between FOREIGNER founding member and lead guitarist Mick Jones and GRAMMY nominated composing/arranging team, Dave Eggar & Chuck Palmer, exploring the deep symphonic potential of these classic and iconic songs. Dave Eggar, Juilliard protégé and cellist/pianist/composer, and Chuck Palmer, producer/writer/percussionist, have toured, performed and recorded with artists such as Paul Simon, James Taylor, Patti Smith, Coldplay and many more. The two sold-out shows in Switzerland have also inspired a US orchestral concert series which kicks off in St. Augustine, FL on March 16, 2018. Together with The Dave Eggar Orchestra, FOREIGNER provides a once-in-a-lifetime opportunity for US fans to experience the band’s most popular hits in full orchestral sound. Please check www.foreigneronline.com for any detailed information on tour dates. 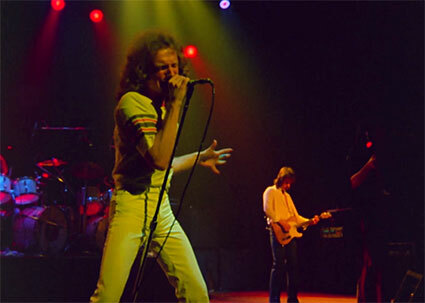 FOREIGNER: video adelanto de "Foreigner With The 21st Century Symphony Orchestra & Chorus"
FOREIGNER: nuevo DVD / Blu-ray "Foreigner Live At The Rainbow '78"
Foreigner y la discográfica Eagle Vision han anunciado el lanzamiento de "Foreigner Live At The Rainbow '78", que estará disponible en DVD, Blu-ray y video digital a partir del 15 de marzo. Featuring the classic Foreigner line-up of Jones, Gramm, McDonald, Greenwood, Gagliardi and Elliott, this show captures the essence of a group who would go on to become one of the best-selling bands of all time. 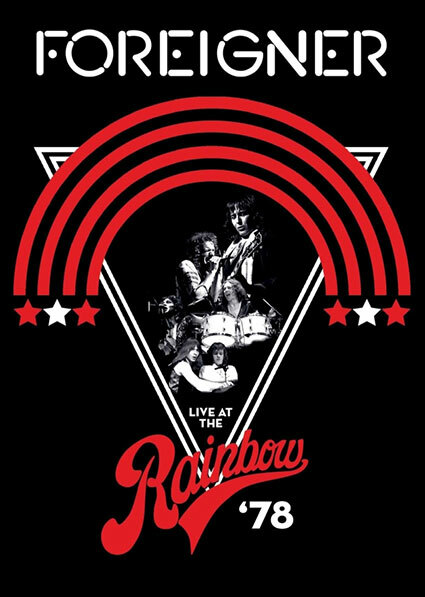 On April 27 1978, after their self-titled debut album had spent a year in the US Top 20, rock’s conquering heroes played a sold-out show at London’s legendary music venue, the Rainbow Theatre. Opening with 'Long, Long Way From Home', the band’s legion of fans were treated to a magnificent display of musicianship and performance, including local hit singles, 'Feels Like The First Time' and 'Cold As Ice', as well as an exclusive preview of two tracks from the upcoming ‘Double Vision’ album. Forty years on, this definitive performance by the original band has been restored from the original film reels, remixed and remastered for this release. FOREIGNER: nuevo video adelanto de "Foreigner Live At The Rainbow '78"